University of Leicester students will swap their pens and notebooks for the medieval swords, longbows and chainmail from the days of King Richard III. Members of the public will be able to take part in a “Bringing History to Life” event at the University on Wednesday November 14, which will feature a day of authentic medieval combat organised by the University’s Re-enactment Society. The day will focus on the 12th century as well as the 15th century, which covers the time of Richard III’s death at the Battle of Bosworth in 1485. Society members will perform demonstrations of combat, and passers-by will be able to try out replica chainmail, embroidery, equipment and armour made by society members. Visitors will also be able to hear from researchers at the University’s School of Archaeology and Ancient History, who have uncovered human remains at the possible site of the Richard III’s burial. Members of the search team will be on hand to explain more about the period of Richard III’s reign. The society has more than 80 members, and the group has been approached several times with the offer of appearing as extras in film and TV battle scenes – including Game of Thrones and Faintheart. The event was organised by Alexandra Finn, president of the Re-enactment Society. Alexandra, 21, from St Neots, Cambridgeshire, who is studying an integrated Master’s in Geology, said: “If anyone wants to know more about medieval combat, this will be a brilliant event to come along to and ask questions. Many of our members have specialist areas of history they research, which they will be happy to talk about. I am particularly interested in the history of women in combat. The event will be held on the Attenborough Lawn of the University of Leicester’s main campus, University Road, Leicester, from 10am on Wednesday, November 14. The University of Leicester, in association with Leicester City Council and the Richard III Society, is leading the Search for Richard III. 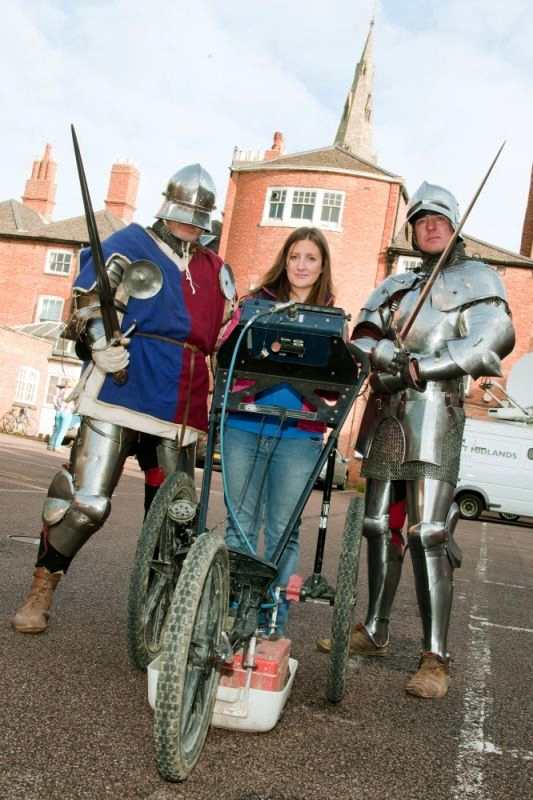 The Search for Richard III is also the subject of a Channel 4 documentary being made by Darlow Smithson.